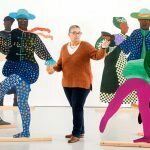 Turner Prize-winning artist Mark Wallinger will unveil a series of playful, thought-provoking and previously unseen works in an exhibition opening at Jerwood Gallery, Hastings, England, this month. The show is inspired by the seaside setting of the gallery and 19th-century photographer, Eadweard Muybridge’s pioneering work, The Human Figure in Motion. 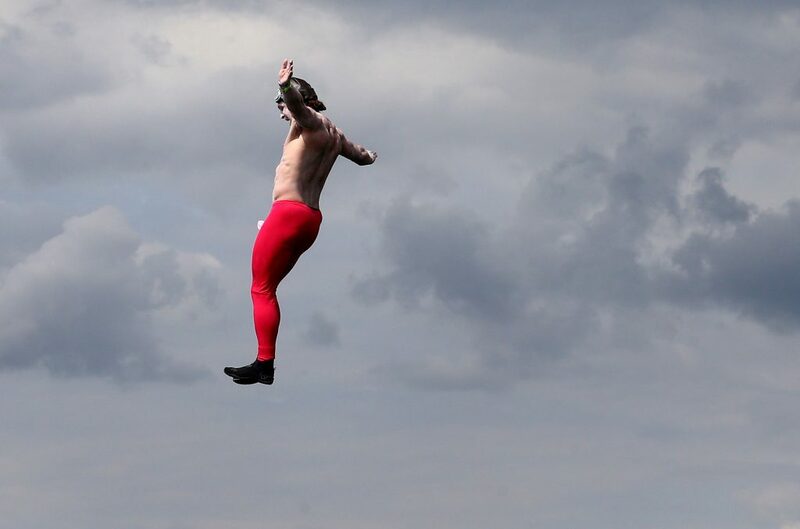 Joel Hicks with his themed Battle for the Skies, leaps off Worthing Pier in west Sussex, as competitors take part in the annual Worthing International Birdman competition. The individuals pictured in this work, suspended and frozen in mid-air, evoke the pioneering work of 19th-century photographer Eadweard Muybridge. Muybridge developed a scheme for instantaneous motion picture capture, photographing his subjects moving in front of a grid of white thread. 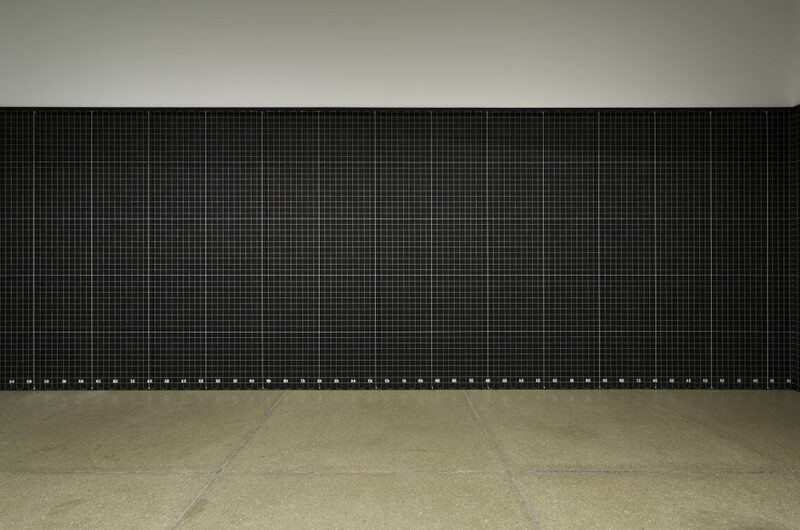 In his work, The Human Figure in Space, Wallinger recreates the grid, but its familiarity is subverted so that its proximity, presence, and immediacy come as a surprise. Strung tightly around three walls of the Foreshore Gallery will be three miles of kite line deployed as a space-defining graph. The fourth wall is mirrored so that the reflected version of our selves lies quantifiably in another space; the image fulfilled in the mirror looks back like a wide-eyed camera obscura. The study of movement that once held people suspended in time now returns us to the still coordinates of the gallery space. Landscape with the Fall of Icarus is reminiscent of the looping movements that Muybridge animated in his zoopraxiscope, (a device for displaying moving images, considered an important predecessor of the cinema projector). Five screens display home video footage of people unexpectedly at odds with their environment. The small cameos of hubris and folly have been slowed to an analytical stop frame, a tenth of the real time, and seesaw back and forth in an endless cycle. 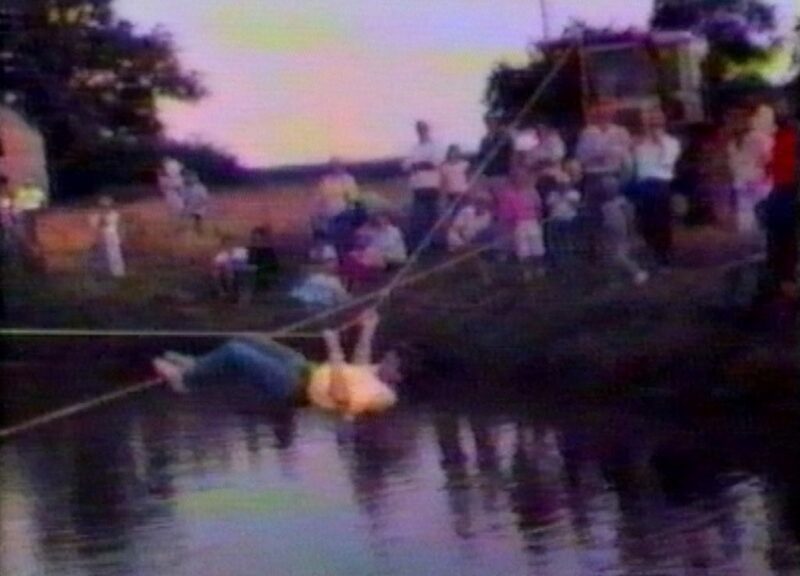 A man suspended on two ropes above a river desperately trying to retain his equilibrium, a kite flyer trying to remain grounded, a man on a zip-line about to be bathed entirely in mud, all are hanging by a thread. “Mark Wallinger brings a very new dimension to our exhibitions programme with this unique exhibition calling on the participation of our visitors, which we hope will challenge, surprise and delight. It is really exciting to welcome Mark back to Hastings, of which he has many fond childhood memories. The playful spirit of the show fits so well in the spirit of Hastings”. Wallinger was first nominated for the Turner Prize in 1995 and won it in 2007 for his installation State Britain, an exact replica of peace campaigner Brian Haw’s protest camp in London’s Parliament Square. Ecce Homo (1999), a life-sized sculpture of Jesus Christ, was the first work to occupy the empty 4th plinth in Trafalgar Square. 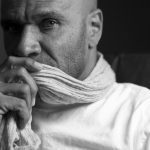 He represented Britain at the Venice Biennale in 2001. Labyrinth (2013), a major and permanent commission for Art on the Underground, was created to celebrate 150 years of the London Underground. In June, the first of two permanent signature works by Wallinger was realised; Writ in Water for the National Trust celebrates the Magna Carta at Runnymede, while The World Turned Upside Down for the London School of Economics will be unveiled later this year. Mark’s work is displayed in the collections of many leading international museums including Tate, London, England; MoMA, New York, US; and Centre Pompidou, Paris, France. This entry was posted in NEWS and tagged Hastings, Jerwood Gallery, Mark Wallinger, Turner prize. Bookmark the permalink. 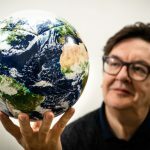 Join Mark Wallinger on Sunday to play with and take home a limited edition of the One World football.